Why do I need estimated effort? 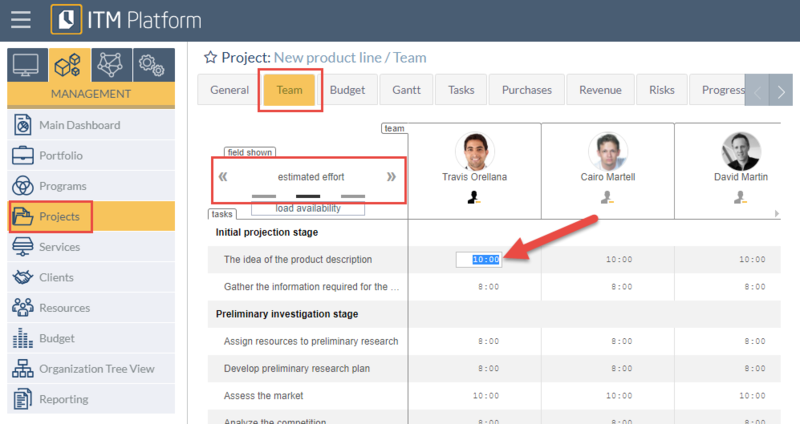 The fastest method is to perform this estimation per task and user in the “Estimated Effort” sub-section ❶ of the “Team” tab. All you need to do is open the hours table and enter the estimated figures ❷. 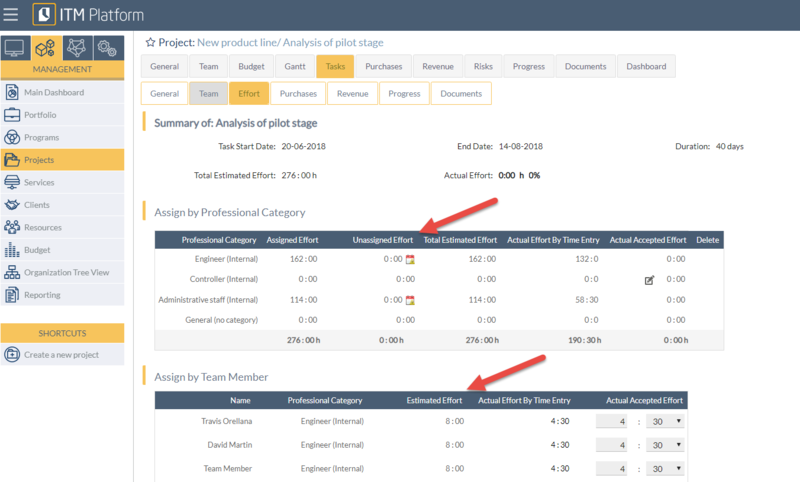 In the “Accepted Effort” sub-section, you will then be able to see the estimated figures compared with the figures reported by the user and, if so desired, change the value. You can also perform these estimates from the “Effort” sub-section of the task, both per user ❸-❺ and per professional profile ❹-❻ if there is no information on who will carry out the function.